Tonight I was at Beavercreek High School and caught this guy on the hall way. 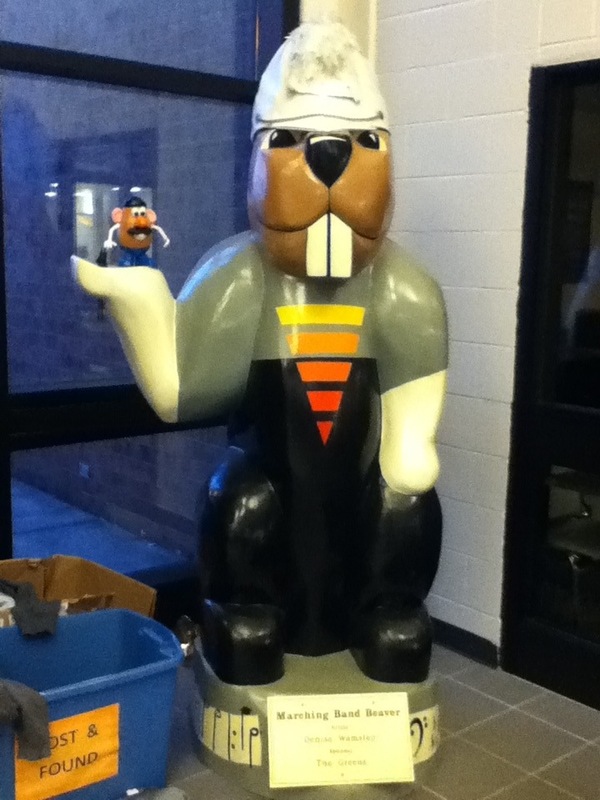 He is a Marching Beaver! This entry was tagged 365, Beavercreek, blog, laugh, Mr. Potato Head, muse, picture a day. Bookmark the permalink.